How do you ship frozen food? Insulated boxes with dry ice and freeze packs. If your order is 30 lbs or less and or you choose a 3 or 4 day transit there is a $5.00 fee applied to cover the extra cost of dry ice/freeze packs. You can view shipping rates by adding items to your shopping cart and proceeding through the check out process. Shipping is based on weight and location and also what shipping option you choose. 55 lbs of food fits in one box and is the most cost effective. The more you put in the box the low the cost per lb is overall. Example 10 lb of product might run $20.00, 55 lbs or product might run $30.00. Take the shipping cost divide that by product weight and this will give you the price per lb for the shipping. The more you put in the box the less it costs per lb. Add different amounts to your shopping cart and proceed through check out to see rates. You can do this with different quantities to see different rates. You are not obligated to purchase unless you confirm order at end of check out. 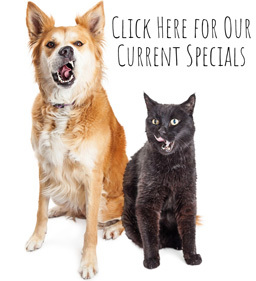 Non frozen items such as treats, supplements, toys and beds ship for $7.99 flat rate regardless of how many items are ordered. What is dry ice, I only have freeze packs in my box? Dry Ice is frozen carbon dioxide, a normal part of our earth's atmosphere. It is the gas that we exhale during breathing and the gas that plants use in photosynthesis. It is also the same gas commonly added to water to make soda water. Dry Ice is particularly useful for freezing, and keeping things frozen because of its very cold temperature: -109.3F. Dry Ice changes directly from a solid to a gas -sublimation- in normal atmospheric conditions without going through a wet liquid stage. Therefore it gets the name "dry ice." As a general rule, Dry Ice will sublimate at a rate of five pounds every 24-36 hours in a insulated cooler. This is why we use both dry ice and freeze packs. The freeze packs will continue to keep the products at the desired temperature after the dry ice has dissipated. No, I only ship to the United States. Also, we do not ship to Washington State given the lengthy ground transit time, as well as, the high cost to register each of our products with the State. I have done extensive testing and have packed boxes with frozen food, dry ice and freeze packs and left the box sit in 85 degrees for 4 days. After 4 days I tested the internal meat temperature and it was at 40 degrees which is what your refrigerator is set on. The meat although thawed is still fine to feed. Put back in freezer or put in refrigerator and use with in 2-3 days. You may also portion into smaller serving sizes first and then refreeze. Tip: IF you are feeding cats and are working on transitioning them to raw you can take the ground meat/bones/organs put into ice cube trays and then refreeze. Once frozen pop out of the trays and put in freezer bags or containers. You now have small easy to use servings. What is the minimum and maximum amount you can ship? What are your box sizes? I can ship any amount 10 lbs and over but it is limited to 55 lbs of product per box. The most economical way to ship is in 55 lb product increments. Dehydrated goods, toys, essential oils and supplements do not apply to the 10 lb minimum. What is the best way to keep my products frozen during shipping? The more that fits in the box [55 lbs maximum] the better off you are. Smaller sizes will thaw faster. Example: if you are a 3 day transit order the 5 lb sizes. 5 lb package will take longer to thaw then 1 lb packages. Two freeze packs and 5 lbs of dry ice are added per shipping box on orders that are 1-2 day transits and are over 31 lbs. There is no additional fee for this. Four freeze packs and 8 lbs dry ice are added to orders that contain a box under 31 lbs and/or are 3+ day transits. There is a packaging fee of $5.00 added to cover the additional costs of the extra freeze packs and dry ice needed. On receipt of order you will be notified of the ship date. We ship Monday and Tuesdays only. The day your order ships will be dependent on transit time. All orders have to be in minimum of 1 day prior to the next ship date. Orders are done first come first serve. We can do about 200 boxes in a day.. If we are over that amount by the time you place your order you will be scheduled for the following ship date. Example if you order on Sunday and we are at our max for Monday your order will ship Tuesday. If you want date specific shipping order a few days in advance and request the ship date in comments box keeping in mind we only ship Monday and Tuesday. 4 day shipping ships on Mondays only. Example: if you are a 2 day transit and you order on a Monday, the order would ship on Tuesday and you would receive on Thursday. The first email is the order confirmation and within your account on our website, the order Status will be listed as “Pending”. The second email sent, provides shipment notification regarding what day your order will be shipped. Again, referencing your account on our website, the order Status will be updated from “Pending” to “Processing”. And once your shipping label is created, your account will list the Status as “Completed” and the ship date will also be provided there. The third and final email is sent on the day your order is shipped, typically around 2pm EST. This email will let you know that the order was shipped and will also provide your tracking information. Do you have a policy on returning shipping boxes? It costs more to send the boxes back then for me to replace so I don't do box returns. Tracking shows my box was delivered but I did not receive it? Or delivery was delayed, can you help? You must contact me within 24 hours if there is a delivery issue. I can put a trace on the box as well as having Fed Ex contact the driver to see where the box was left, as it may have been delivered to a wrong address. Time is of the absolute essence with failed deliveries and/or delayed deliveries. If you fail to contact me within 24 hours of receipt of box showing delivered there is no recourse and payment will not be refunded. Also, keep in mind that we do not resend orders, rather all items must be reordered by the customer. My tracking number is not valid? You will be notified via email the day your order is scheduled to ship. If you are not getting these check spam. I do shipping labels ahead of time as I cant be packing boxes and do labels at the same time so just because there is a tracking link on your account does not mean the order shipped just that a label was generated. Check after 4 pm, the day your order is scheduled to ship and the tracking will be valid. Boxes have to be picked up and scanned before you can see the tracking info. What is the difference between Ground and Express delivery? Also, keep in mind our Hold At Location shipping option. FedEx Ground is transported via truck and offers cost-effective delivery in 1-5 days to the continental United States and 3-7 days to Alaska, Hawaii, Canada, and Puerto Rico. During seasons of warmer weather, we only offer 1-3 day Ground, as weather has to be cold enough to keep the products cold while in transit, and Express shipping options. Express does run separate then Ground, but really no benefit if estimated transit times are the same as Ground during checkout. Ground Home Delivery does not require a signature, FedEx has been instructed to leave packages, however FedEx does reserve the right to use their discretion. Also, we have a Hold At Location option which allows you to pick up your package at a FedEx terminal near you. This option is available at checkout and automatically populates based on your shipping address. This is a good option if you are running errands, driving home from work, etc and keeps your order off a potentially hot truck. Keep this option in mind if you have had issues with deliveries in the past or are at the end of a delivery route. Please note that FedEx hold locations do not accept Express deliveries.